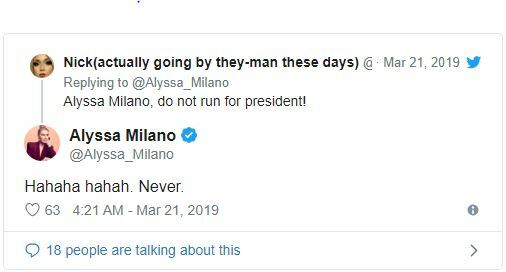 Alyssa Milano is being teased over her tweet announcing probability of 2020 endorsement. 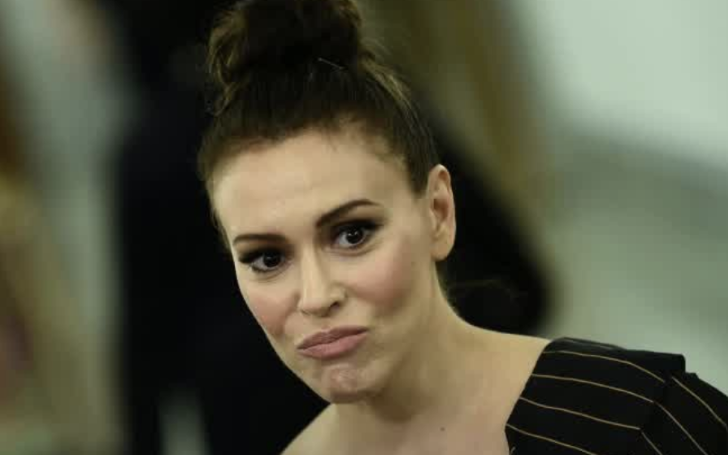 Activist Alyssa Milano posted a tweet on Wednesday about 2020 endorsement for which she is being mocked. An outspoken activist who protested the NRA, Trump’s immigration policy and Supreme Court appointee Brett Kavanaugh posted a tweet reading "I have not endorsed anyone yet for 2020. And I won’t for a while. I have a strategy and call to action that I am formulating and will announce soon. I’ll need you all to help me." Following the tweet, several people on social media mocked the Charmed actress's post. Some commenters were less than interested and went ahead to post tweets hinting nobody cares. Whatever Milano is up to, it won’t be an announcement she plans to make public anytime soon. And while the Oval Office isn’t part of her aspirations, Alyssa holding office is something she thinks about. “It’s not much different than what I’m doing now,” said Milano, who helped the #MeToo movement go viral on social media.